Roberta Brandes Gratz is an urban critic, journalist, and consultant based out of New York City. She is the author of The Living City: Thinking Small in a Big Way (1994), Cities Back from the Edge: New Life for Downtown (1998), The Battle For Gotham: New York in the Shadow of Robert Moses and Jane Jacobs (2010), We're Still Here Ya Bastards: How the People of New Orleans Rebuilt Their City (2015), along with numerous articles. Gratz works to make urban revitalization more about creating places and less about pushing projects. Rejecting the idea of a cookie-cutter prescription for success, she advocates for "urban husbandry"– a more flexible, incremental, and sustainable approach to downtown rejuvenation. Throughout her writing and work, she shows how this process can empower local Placemaking by privileging low-cost community-based initiatives over large-scale trickle-down renewal projects. Native and resident of New York City, Roberta Gratz is an award-winning journalist, urban critic, and lecturer. In 2003, in collaboration with Jane Jacobs and a small group of like-minded urbanists, Gratz founded the Center For the Living City to build on Jacobs’ pioneering work. From 2003-2010 she worked with the NYC Landmarks Preservation Commission, after which she was appointed to the Mayor’s Sustainability Advisory Board. Gratz is a former Trustee of the New York State Preservation League, and she has served as Vice-President of the Salzburg Conference on Urban Planning and Development. 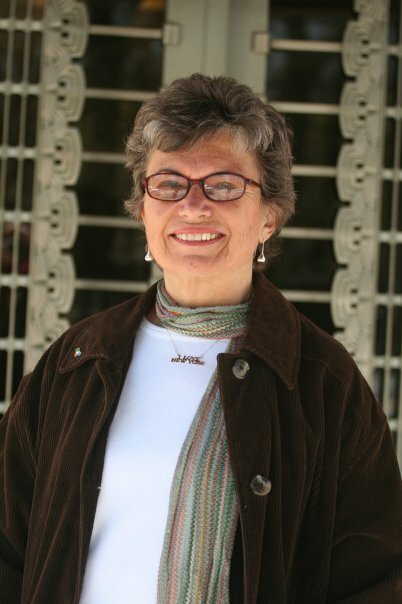 She is founder and President Emeritus of the Eldridge Street Project, the much-celebrated restoration of the historic Eldridge Street Synagogue on the Lower East Side. In addition to founding the Fire Island Historical Society, she is also founder and former board member of the Writers Room, the first urban writers colony in the country. Gratz was a member of the New York Governor’s and Mayor’s Task Force on Planning Manhattan’s West Side Highway and Waterfront, and she formerly served as head of Public Policy of the New York State Preservation League. Urban Husbandry. Gratz calls for a more flexible approach to urban rejuvenation: urban husbandry – the notion of shaping a city’s growth and revitalization incrementally, piece by piece, slowly, organically, and with individual components. Rather than rebuilding and replacing downtown areas with large-scale development, such as convention centers, stadiums, and other blockbuster projects, urban husbandry recognizes the inherent value in the existing built environment and promotes the care, management, and preservation of urban neighborhoods. By illustrating the advantages of low-cost, modest initiatives, Gratz demonstrates that rebuilding authentic places, reconnecting communities and stimulating innovative change are within everyone’s reach. "A distinction must be made between downtowns rebuilt and downtowns reborn." "The big money continues to pour ... into the big, the overwhelming, and the inappropriate."